We will always be glad to answer any questions you may have. Perhaps you are looking for a second opinion, or alternative options for hearing aids, especially if you've had a recent hearing test by another provider. Shopping around for hearing aids is a very good idea, and we gaurantee the best prices and services in the area. Call to schedule a FREE Consultation. We provide FREE Hearing Tests by appointment, even after hours and Saturday's if need be. A typical Hearing Test consists of a Case History to obtain pertinant medical information and learn about your recent hearing issues, Otoscopy to make sure we can see your eardrum clearly, and Pure Tone & Speech Audiometery. Average appointment is only about 45 minutes. Some folks think that they may have excessive earwax that is causing them to not hear clearly, and sometimes that's just the case. The only way to be absolutely sure is to see for yourself. 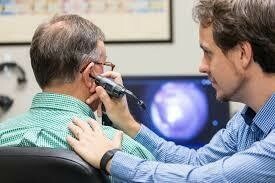 We provide FREE Video Otoscopy by appointment as part of a Hearing Consultation or Test. If there is excessive earwax we will be able to clean it out in most cases, but there are times when you would require a medical referral. If it has been determined that you are in need of hearing aids, we will provide you with some options of solutions, and thoroughly go over all of the reasons behind our recommendations, including all pricing, services and care. We even offer FREE Hearing Aid Trials for eligible candidates! We always have to take into account the hearing loss first, then your lifestyly, and of course your budget. We have the best pricing gauranteed! Keeping hearing aids professionally cleaned will help them to not only work better, but will also prolong the life of the devices. We have special equipment to thoroughly clean hearing aids and offer this service to all of our patients on a regular basis. Anything electronic or mechanical can fail at any time. This is true with hearing aids as well. Most often, we can repair a hearing aid in our onsite labs. If the problem is too extensive, we have the manufacturers that we deal with directly, as well as other labs we can call on to help. Programming hearing aids is the real art of what we do. Being multi-line, we have most of the leading brand's software programs at our disposal. Initial programming for a first time hearing aid wearer is a process that takes time, usually 3 to 4 subsequent follow-up visits for a proper fitting. Taking ear impressions is another skilled art of what we do. 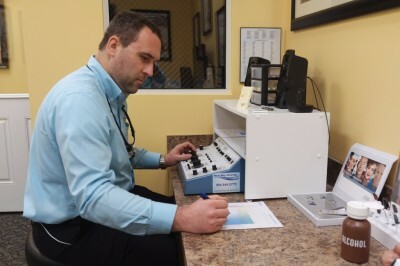 Whether the impressions are for custom hearing aids, custom ear molds, custom hearing protection devices, musician monitors, or even TMJ molds, we are professional experts at taking ear impressions. Behind-The-Ear (BTE) hearing aids with custom molds regularly need to have the tubes changed. This should be done every 3 to 4 months. UV light from the sun, perspiration, and other factors cause the tubes to become hard. They also can get quite uncomfortable once this occurs. Millions of Americans suffer from Tinnitus. Tinnitus Mapping helps us to determine the frequency range and intensity level that you are hearing the tinnitus, especially if it's a high pitched ring. 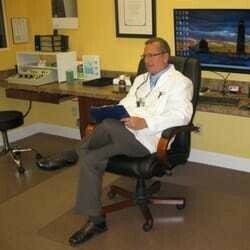 We perform this FREE of charge during a Hearing Test if you suffer from tinnitus. We have immediate scheduling available!